Can I save money by booking a Universal Orlando on-site hotel with the Annual Passholder rates? How much can I save? Is it worth it to purchase a Universal annual pass just for the on-site hotel discount? If I do, when do I need to buy my annual pass, and how do I pick it up? Purchasing a Universal Orlando annual pass can be an expensive proposition — but it can be much more expensive to decide to stay on-site. Luckily, because of the discounted rates offered by Universal’s on-site hotels, becoming an Annual Passholder may save you money when you add up all the numbers. On this page, we’re going to look at everything involved in pricing out what option is best for you! 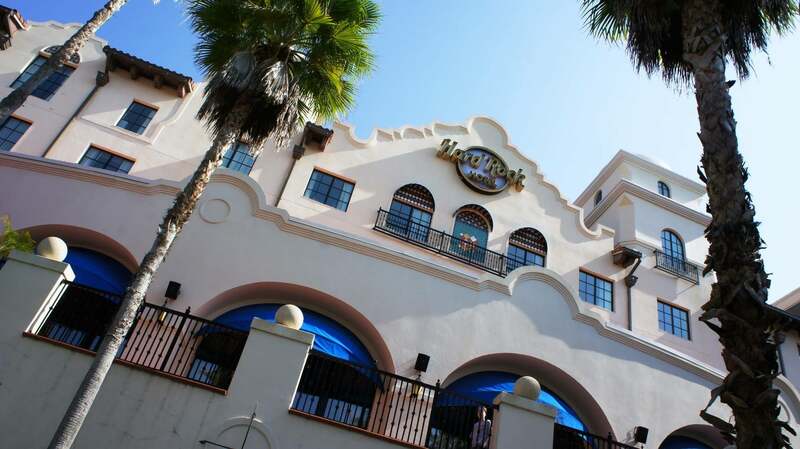 Hard Rock Hotel at Universal Orlando. We’ll start this conversation with a little bit of background info, in case you are new to the idea of purchasing a Universal Orlando annual pass. If you are an Annual Passholder, you may be eligible to save up to 46% on hotel stays at Universal’s on-site hotels. APH = Annual Passholder rate. As you might imagine, the discounts are greatest in the off season and will be smaller or non-existent when the parks are busy. But if you are traveling when the discounts are maximized, purchasing an annual pass instead of a regular ticket may just save you money when it’s all said and done. For example, if you were already planning on buying a 4-day Park-to-Park admission ticket for yourself, you’ll be spending around $215. If instead you purchased a Preferred Annual Pass, you’d pay around $335 — roughly a $120 difference. Considering the on-site hotel room rates start at $250 to $300 per night, by cutting that price nearly in half with an APH discount you can see how upgrading to an annual pass could cover the $120 difference and then some. And if you do end up with a Preferred Pass, there are other benefits too, such as complimentary self-parking at the main Universal garage (unfortunately not at the hotel), discounts on food and beverages, etc. You can see all the benefits by clicking here. So that’s where this discussion comes in: You are a first-time visitor to Universal Orlando. You’re thinking that it might be less expensive for you to purchase an annual pass and get the Universal on-site hotel discount than buy a regular ticket and pay the hotel rack rate. So how do you check prices, what are the logistics for booking the hotel at the annual pass rate, and how do you pick up your pass and get checked in? That’s what we will dig into right now! 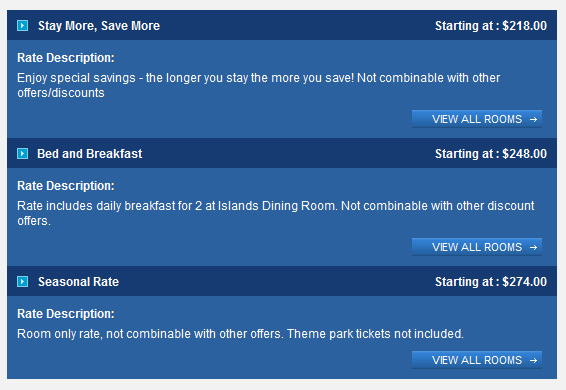 To see what kind of rates you can get at the on-site hotels with an annual pass discount, visit this page on UniversalOrlando.com and use the links provided to start checking. IMPORTANT: You do not have to have an annual pass to make a reservation with the annual pass discount. VERY IMPORTANT: You do have to have an annual pass during your visit to secure the annual pass discount — that is, you or someone registered to the room. More on this requirement later. EXTREMELY IMPORTANT: You must book the annual pass discount rate in advance. You cannot book the regular rate and then, midway through your stay at the hotel, whip out your annual pass and get the discount applied to your stay. DEAL BREAKER: Please remember that Loews requires at least one person 21 or older to be registered in your room, and that person must be present at check-in. You see that several rates are listed, but none of them is the APH rate. For this particular search — last week in January, 4-night stay — the APH rate was still $24 less per night than the Stay More, Save More rate. One more note about pricing out your on-site stay: As a general rule of thumb, the APH rates are available about three to six months in advance. 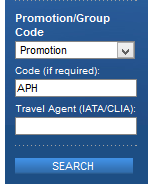 So, if you search for your travel dates and an APH rate does not come up, that does not necessarily mean it will never be available. Instead, it could just mean that the hotels haven’t published the APH rates yet for when you’re traveling. The best thing to do at this point is call the reservation department at 1-888-464-3617 and ask the agent about your dates. As the policy sits right now, you can print out annual passes at any of the on-site hotel’s Will Call Kiosks if you purchased a non-Florida resident pass. On the other hand, you cannot print them out at the on-site hotel’s Will Call Kiosks if you bought a Florida resident pass; in that case, you need to go to a ticket window at the parks because they have to check your Florida ID. 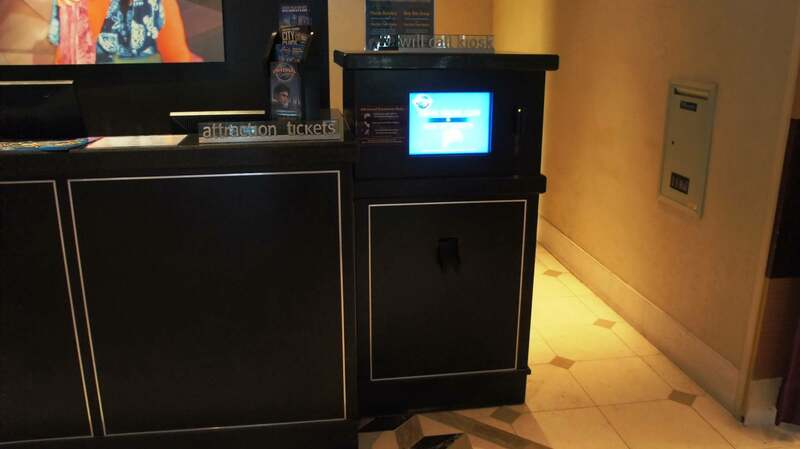 Electronic Will Call Kiosk at Universal’s Hard Rock Hotel. However, this requirement can easily be waived by the hotel, and they can instead ask you to bring it by anytime during your stay. The reason for this is because the hotel doesn’t actually settle your bill and pay your full balance until check-out, so the hotel can key in any room rate it wants at check-in. If you come by later and show your pass, you then get re-keyed at the AP rate. If you never come by and show your pass, then you just get re-keyed at the rack rate the night before you check-out. All this being said, if you will not have your pass with you at check-in, we highly recommend that you call the hotel as far in advance as possible and let them know. Chances are they’ll say “no big deal” and note your reservation that you’ll bring the pass by later on. But, in any case, it is a much better idea to address this before check-in than wait until you arrive, only to get a new person at the Front Desk that is “sticking to the rules,” so to speak, and won’t let you check-in at the AP rate without first presenting your pass. EXTREMELY IMPORTANT: You must book the annual pass discount rate in advance. You cannot book the regular rate and then, midway through your stay at the hotel, buy an annual pass and get the discount applied to your stay. The 365 days of admission you receive with a Universal Orlando annual pass (minus blockout dates if applicable) begin the very first time you use your pass at one of the parks’ turnstiles — they do not begin when you purchase or pick up the pass. So, in theory, you could print your pass at the Will Call Kiosk, carry it around for a few weeks, and your 365 days of admission will not have begun. Then, after a few weeks, if you go to the parks and play, your 365 days will begin. Universal calls this “activating” your pass. So how does this pertain to our discussion about Portofino Bay Hotel, Hard Rock Hotel, Royal Pacific Resort, Cabana Bay, and Sapphire Falls? Well, this is actually a bit of a loophole. If you pick up your pass at one of the on-site hotels then go to check-in, you obviously won’t have used it first to go into one of the parks — which means that the pass won’t be activated. But it turns out that the Front Desk doesn’t actually have a way of knowing whether or not your pass is activated. Because it is unlikely that you would pay for an annual pass and never activate it, the front desk takes it on faith that, sooner or later during your stay, your pass will end up being activated and you will qualify for the annual pass rate. We definitely recognize that this discussion can be a bit heavy. We’ve done our best to present all the necessary information so you can maximize your savings and have a smooth check-in process. Good luck with the numbers — we hope it all adds up in your favor!